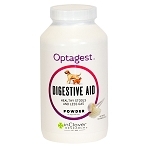 Pancreas Booster is an herbal remedy for dogs and cats that improves the pancreas' ability to create enzymes needed during the digestive process. The pancreas performs two important functions within the body: producing digestive juices and enzymes to help digest fats and proteins AND producing the hormone insulin, together with a variety of other hormones. A few years ago, after a traumatic event, Leo was diagnosed with pancreatitis. The vet thought, perhaps, that was the reason for his constant and debilitating vomiting. There was nothing to be done, and the vest asst. said, "oh, we'll be seeing a lot of Leo!" No way. I went online and found Pancreas Booster and sprinkle some on Leo's food every day, and haven't been back to the vet since. My can was diagnosed with pancreatitus 4years ago I gave her food specified for this but after a while she wouldn't eat it anymore so I looked up natural ways for this and started giving her pancreas booster and so far she's doing great. She is 13 years old so I'd say very well . I'VE BEEN GIVING THIS TO MY DOG FOR ABOUT 4 MONTHS. THE VET SAID HE HAD PANCREATITIS. HE WOULD GO THROUGH MAJOR BOUTS OF DIARRHEA AND VOMITING. I CHANGED HIS FOOD AND BEGAN GIVING HIM THIS AND NO VOMITING, DIARRHEA, FEVER... TRULY WONDERFUL!!!!! My min pin had terrible allergies to any kind of meat. 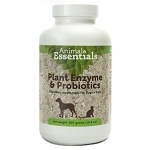 I read that this product helped with digestion and it WORKS. Before this product if he ate one bite of meat he would have at least 3-4 bald spots by morning. Since he has been on this product he no longer loses his hair if he eats meat. He got the cats food twice and no reaction at all . AMAZING ! My Yorkiepoo had a pancreastitis attack and was hospitized, so scary. I started him on a low fat diet and Pacreas Booster over a year ago, his is back to his old self and even spunkier! Bromelain is a mixture of sulfur-containing protein-digesting enzymes and is present in all parts of the pineapple plant. 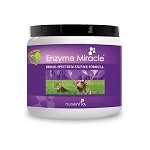 This natural ingredient has been researched for its ability to support the pancreas. Papain is an enzyme found in papaya (Carica papaya) fruit latex. Its utility is in breaking down tough meat fibers. Gymnema (Gymnema Sylvestre) has been researched for its ability to promote and support healthy levels of sugar in the blood. Goat's Rue (Galega officinalis) contains guanidine, a substance that supports healthy blood sugar levels. Fennel (Foeniculum vulgare) has been researched for its bitter principles and potential ability to support blood sugar levels.